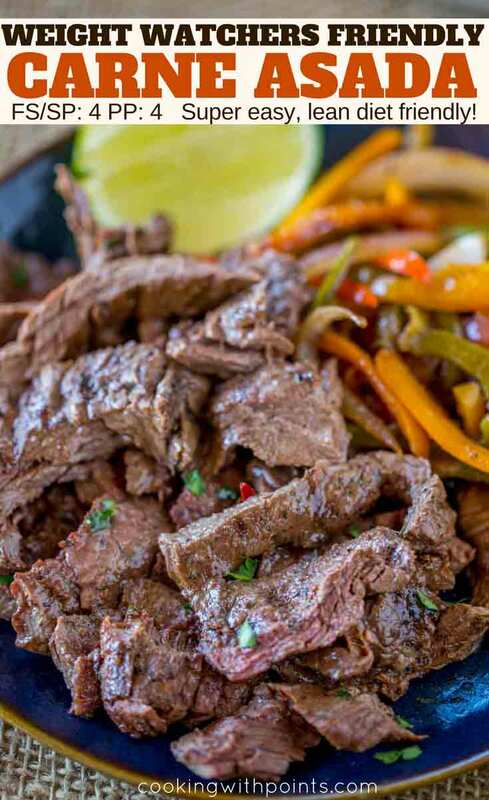 Skinny Carne Asada with lean flap meat is marinaded with a soy vinegar sauce and grilled for a tender, lean Mexican restaurant favorite for an easy diet-friendly meal. 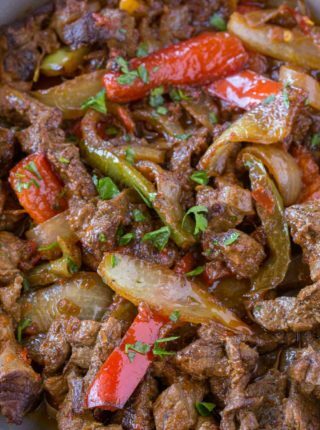 Carne Asada has long since been one of those items you don’t order off the restaurant menus because the meat isn’t a lean cut of beef and the marinades are full of oil. 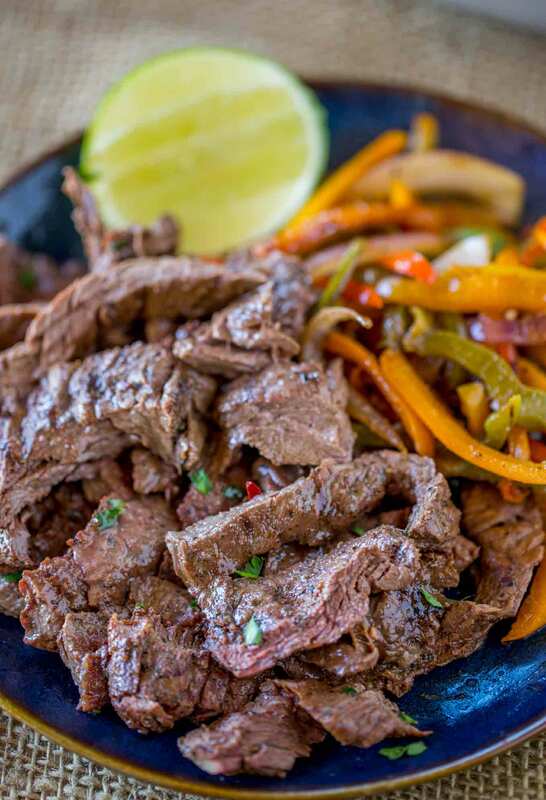 This Skinny Carne Asada is the perfect mix of both worlds, using an often overlooked super tender lean cut of meat, tenderizing it a bit with a meat tenderizer and using a marinade with significantly less oil than most people. 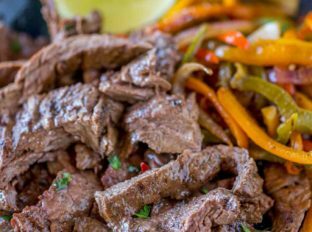 The results are perfectly tender carne asada made with little effort and all the delicious flavors. Many people love skirt steak for carne asada for good reason, the beef is very tender and easy to cook. For heathier cooking it is too high in fat, so most people use flank steak to have a more lean meat option. The lack of fat makes flank steak a more tough cut of meat and with less flavor than you need to choose. Flap meat is the best of both worlds with slightly higher fat content than flank steak but much lower than skirt steak. The recipe calls for 2-4 hours, but not more than 8 hours. The marinade helps to break down some of the connective tissue. More than 8 hours would cause the lime juice and vinegar to break down the meat more than is palatable. To marinate longer than 8 hours use just the dry ingredients and in the last hour before cooking add in the wet ingredients. 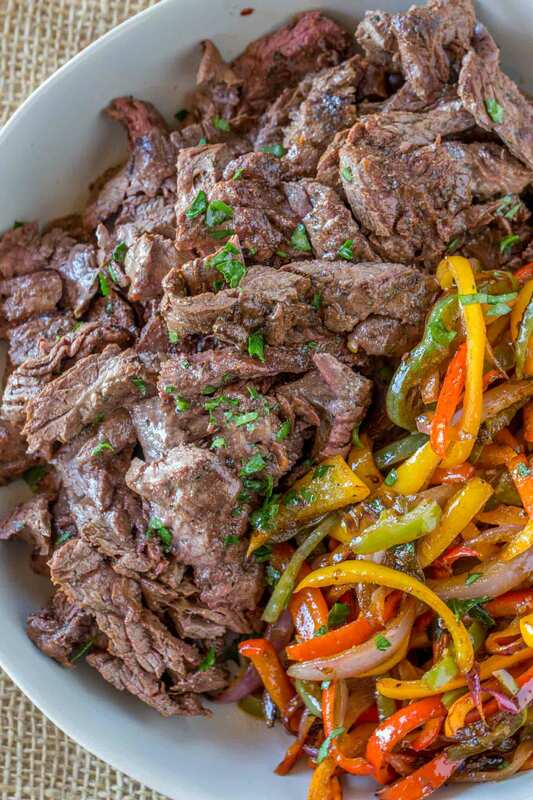 What do you serve with Carne Asada? We love to serve this carne asada with skillet cooked peppers and onions, Pico de Gallo Salad (which is fat/point free), and even a mixture of corn and beans seasoned like in this Mexican Shrimp Burrito Bowl. Grill/Griddle Pan: Perfect for cooking the steak indoors, one side has grill lines, the other side is great for pancakes/breakfast cooking. Pig Tail Flipper: Love this for turning the steak without removing the marinade from the steak. Meat Tenderizer: Perfect for making the flap meat taste as tender as skirt steak. Add all the ingredients together into a large bowl and let marinade for 2-4 hours (up to 8 hours). In a large cast iron grill pan or outdoor grill, cook the meat on high heat for 3-4 minutes on each side. Let rest for five minutes before slicing against the grain. 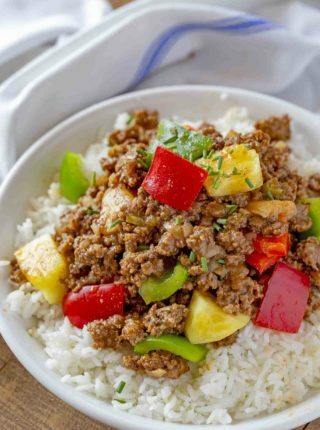 You made this dish look so incredibly easy – can’t wait to give it a try! This looks super flavorful! Easy meals are the best! I need to try this! Looks like a new family favorite! Looks so incredible! Perfect dinner tonight! Such a flavorful dish!! Its fantastic!! 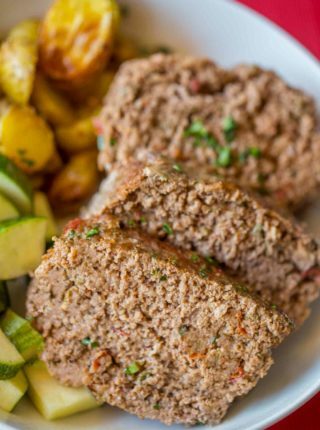 Oh boy this with some bread sounds wonderful!!! This looks really good! I will definitely try this for dinner any night!